For the many internationals who dream of setting up their businesses or be employed in Malaysia, they have the opportunity for applying for a work permit which comes in four distinct categories. One way in which a work permit can be awarded is by setting up your own Malaysian International Company and get a two-year Malaysia business visa for you and your family. By setting up the Labuan International Company which is 100% foreign owned, the owners enjoy the lowest paid up capital to operate the international business in Malaysia. In doing this, you save yourself the trouble of setting up offices or acquiring trade licenses to start producing. The time taken to process the company’s registration to the final visa endorsement carries a maximum of sixty days. Besides, the advantage of this Malaysian business visa is that corporate tax charged on net profit stands at 3%. In this option, one is also allowed to apply for 3-4 positions of foreigners who have work permits in the company’s name. The other alternative is by setting up your business and asking for the two years Malaysia work permit under your Malaysian private limited company. There is an option under this where foreigners who wish to run their businesses obtain the 2-year Malaysia work permit. For one to be able to apply for a director or shareholders position, it is mandatory for one to have a minimum of 500,000 shares. The company is also required to set up with a minimum authorized capital of RM1, 000,000. Nevertheless, non-resident companies need a trade license which takes about 2-3 months for approval. This processing time from incorporating the company to setting up the office, business license and 2-years work permit to the final visa endorsement takes between 6-9 months. Another alternative in this option is forming a joint venture with the local Malaysian populace. Under this type of company structure, the company does not require a license if your local Malaysian partner owns more than 50% of the shares. This option takes a rather short period of 2-3 months to process until the final visa endorsement. Furthermore, another option is to set up a regional office in Malaysia. However, the local office is not allowed to carry out commercial transactions with Malaysian companies. By taking this route, you and your family can apply for a 2-3 year work permit which will take about 2-3 months to process. From the three alternatives, applying for a Malaysia business visa will suit most people looking for business and employment opportunities in Malaysia. my brother want to go to Canada for higher study but we don,t know how can we apply to visa then my friend told me about morevisas then i searched in google. please help us how can apply to visa and which documents required this?? Thank you morevsias for given Australia visa to my brother. This is very helpful consultancy in resolving any queries and always understandable to any issue. Thanks morevisas for share the valuable information. this is important for me. 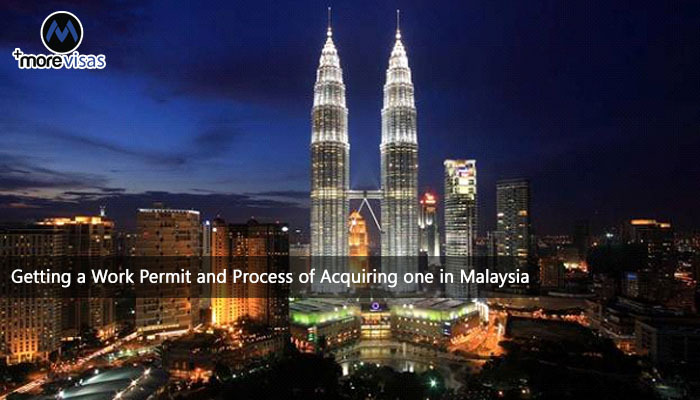 Thanks you Morevisas for provided all expert advice about processing of Malaysia visa.